This Savannah bed breakfast historic district is a 19 room bed and breakfast located in the exact center of the Savannah, Georgia Historic District. Not only do we offer each guest a delicious Southern breakfast cooked to order right in our kitchen, but we have two additional food services that are completely complimentary. In the afternoon, don’t miss out on the delicious High Tea served between 3:00 – 5:00 pm. In summer months, iced tea and lemonade are also available. Remember, all this deliciousness is at no additional charge at this romantic Savannah Bed breakfast Historic District. And you wont want to miss out on our evening complimentary Wine & Hors D’oeuvres each evening beginning at 6:00 pm. 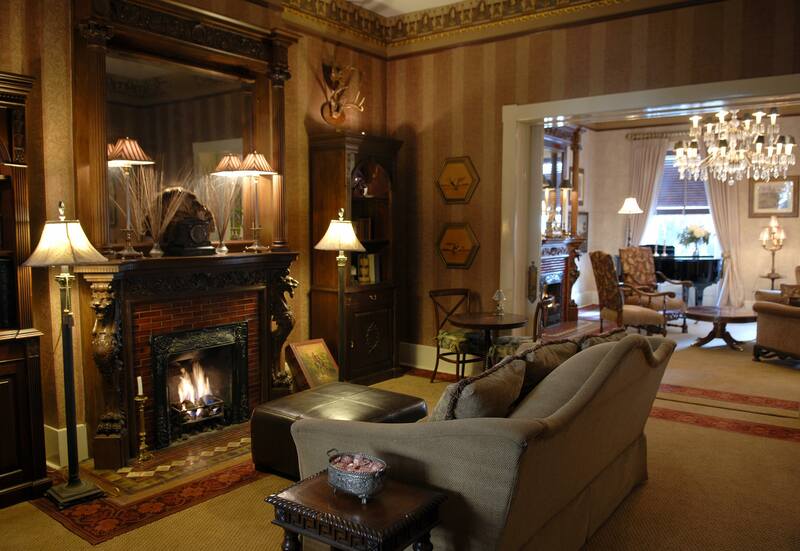 When you step inside our Savannah bed breakfast accommodations, the past seems to come alive. We offer 19 spacious Savannah Bed Breakfast historic district accommodations that are each unique. Many of our rooms have working gas fireplaces, some have Jacuzzi tubs and/or private balconies. Pet friendly accommodations are available in some of our bed and breakfast rooms. When you’re making your Savannah bed breakfast historic district reservation, please specify if you’d like these amenities and/or read about each room in more detail on our bed and breakfast accommodations page. There are so many amazing sides to this Savannah bed breakfast historic district for you to explore and enjoy. The Foley House Inn is right in the middle of it all! We are located directly off Chippewa Square, which lies at the center of the Historic District. When you stay here as our guest, you have premier access to everything Savannah has to offer. We are also a pet friendly hotels Savannah GA, please consider the Foley House Inn Savannah bed breakfast historic district when traveling with your pet. We love pets here and we treat them like family.